1. What Do Students Need to Succeed? 4. Authentic Assessment: What Is It? 5. Authentic Assessment: How Do You Do It? We ask students to memorize reams of information that they will rarely if ever use again, but we often fail to teach them the critical skills needed to meet the daily challenges of the 21st century, skills such as information literacy, collaboration, metacognitive reflection, and self-assessment. 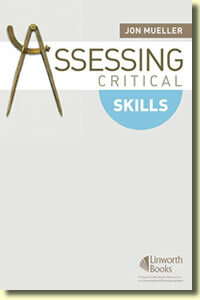 One reason we have shied away from teaching such skills is that we are unsure how to assess them. Thus, in this text I offer a detailed set of steps and examples, including rubrics, of how to summatively and formatively assess the skills our students need. For K-16 educators.